Humans aren't the only ones who get to take part in the festivities on Halloween. We give our pumpkins human faces and dress up our pets, so why not include toys and stuffed animals in the fun? 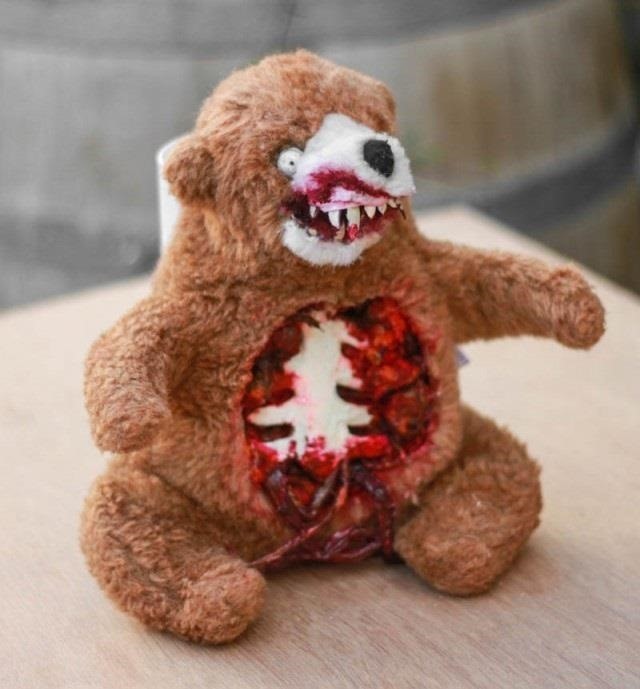 Lucy of the surprise-aholic is dressing up as a zombie child this year, so she decided to make a teddy bear to match her costume. 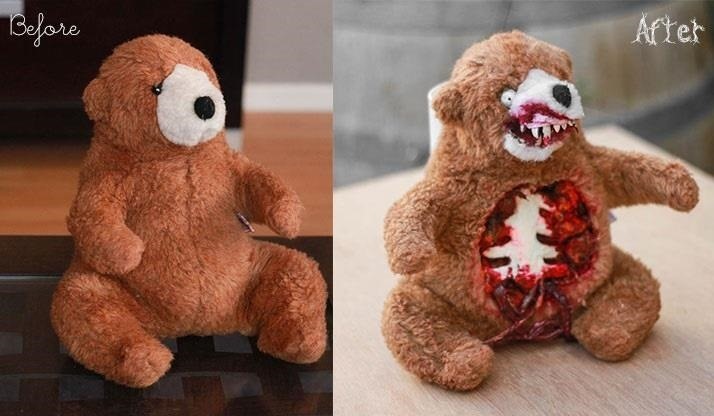 Meet the Terror Teddy. 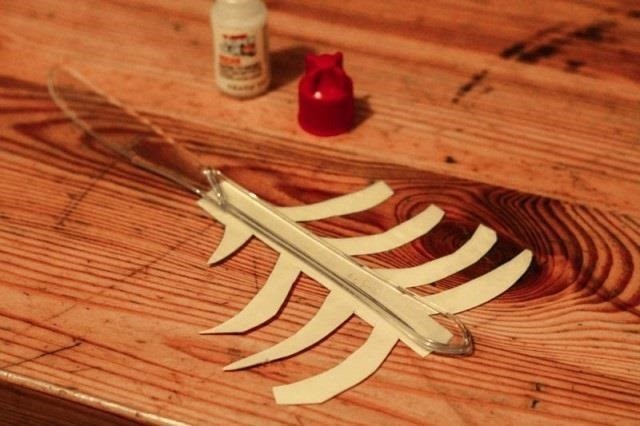 She used scrap plastic and a disposable knife for the rib cage, fake nails for the teeth, a twisted plastic bag for the entrails, and red paint for the blood. 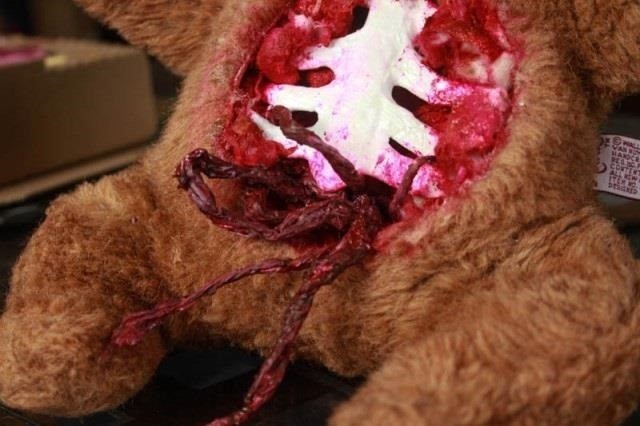 The process mostly consists of cutting holes, removing stuffing and replacing the poor little bear's innards. It's a violent little project that looks like a lot of fun, and you can get really creative and customize it however you want. 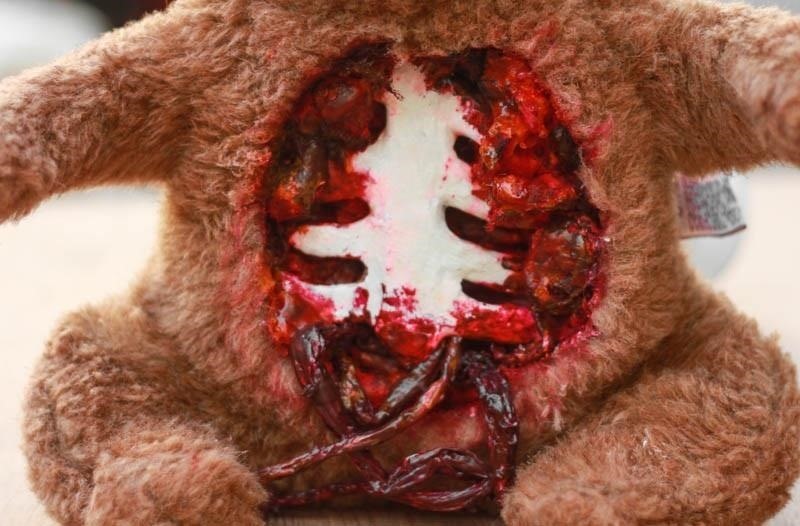 Check out Lucy's Terror Teddy tutorial for step-by-step instructions and a bunch more photos. 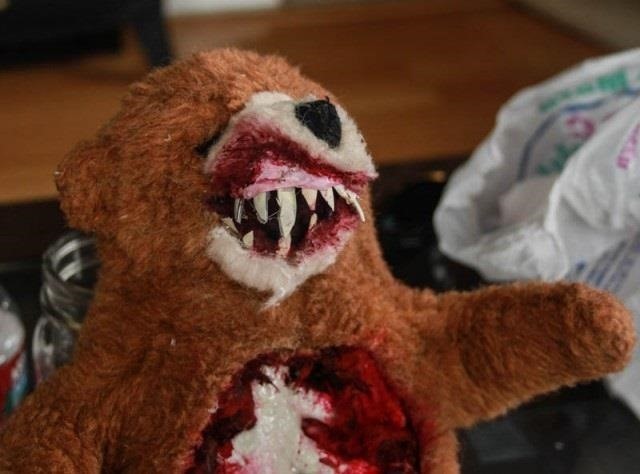 If you make your own zombie stuffed animal, don't forget to upload a photo in the comments below. I'd like to see some really creative ones, like a stuffed snail zombie, so show us what you've got!